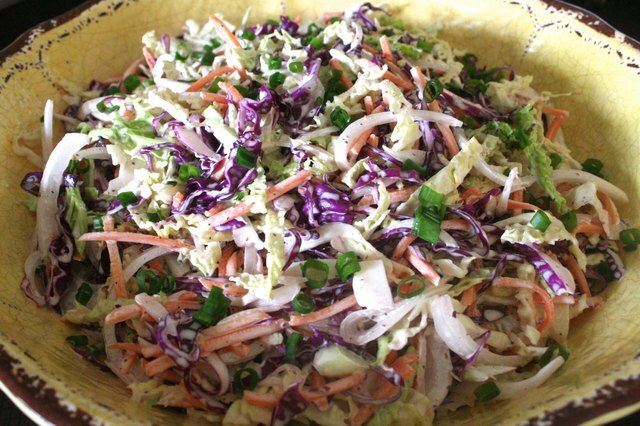 A picnic in the park is a beloved summer activity, and coleslaw is a classic addition to the scene — especially one as crisp, savory and sweet as this recipe. You can use it as a topping for a juicy pulled pork sandwich, or you can let it stand on its own alongside barbecued and grilled veggies. Either way, this zesty coleslaw will add a satisfying crunch to your al fresco meal, and it's as easy as a walk in the park to make. 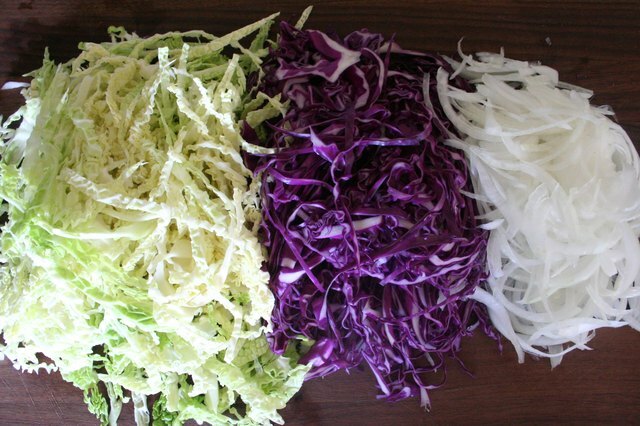 Thinly slice the cabbage, red cabbage and sweet onion. Set aside. 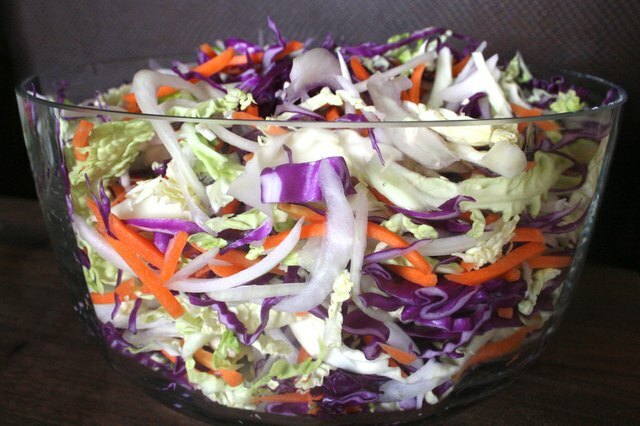 In a large bowl, mix together the sliced cabbage, onions and carrots. 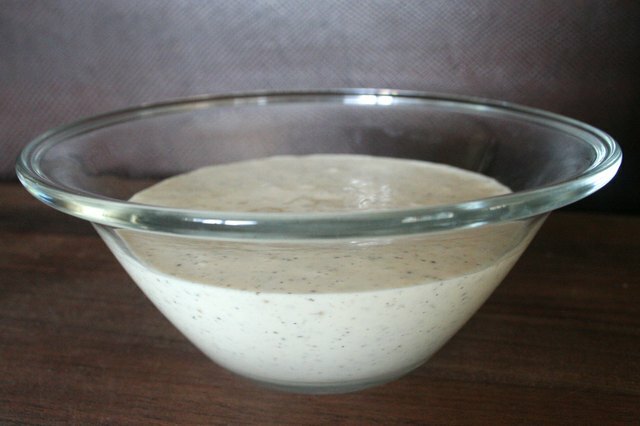 In a medium bowl, whisk together the mayonnaise, apple cider vinegar, honey, Dijon mustard, celery salt, mustard seed, salt and pepper. Mix until smooth. 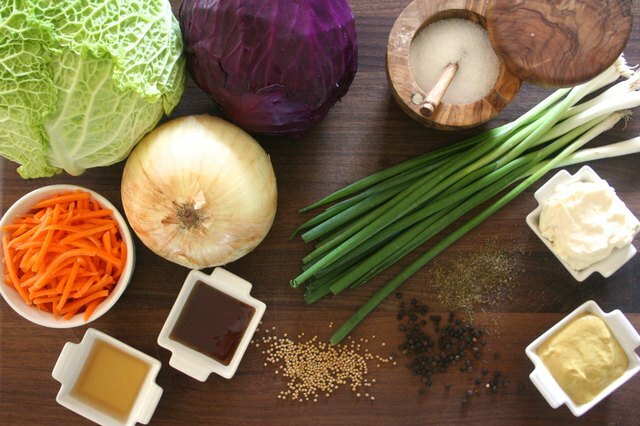 Gradually add the dressing to the large bowl with the cabbage, onion and carrots. Mix together after each addition, until all of the coleslaw is coated. Serve at room temperature or chill in the refrigerator for 1 to 2 hours. Now, it's time to go on a picnic!